HYALURONIC ACID IS WIDELY KNOWN AS THE "FOUNTAIN OF YOUTH"! Petunia Skincare's Professional Hyaluronic Acid Serum, made with the highest quality vegan-free and cruelty-free hyaluronic acid, is the ultimate anti aging and anti wrinkle solution to give you that dewy, elastic, and youthful boost in your skin. 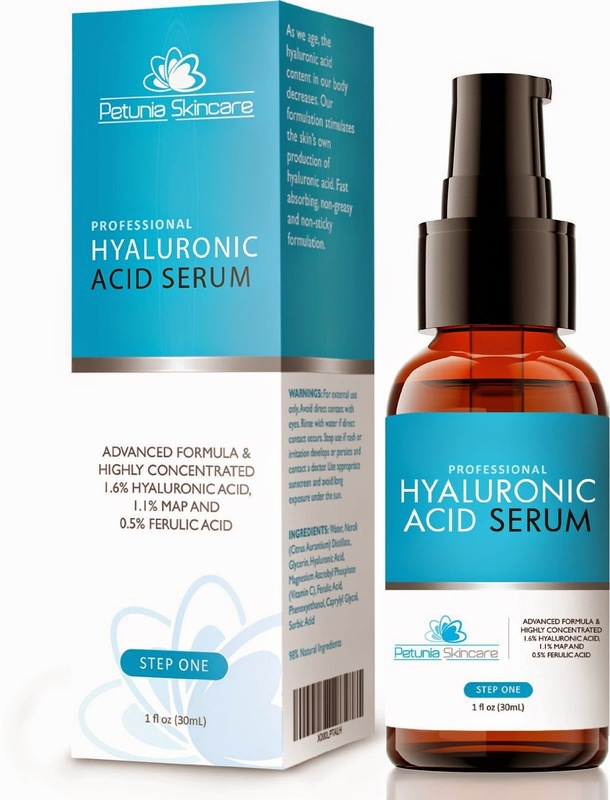 Hyaluronic acid binds moisture and water into your skin to help you achieve plump, soft, and tight skin. Fine lines, crows feet and wrinkles are filled in. OUR SERUM WORKS! As we age, the hyaluronic acid content in our body naturally decreases, and as a result we must build more hyaluronic acid back into the body either through orally or topically. Our moisturizing serum has been tested thoroughly and has been proven to stimulate the production of hyaluronic acid and collagen that helps with plumping, firming and brightening aging skin. PREMIUM FORMULATION! Hyaluronic acid is the key ingredient in this serum, and we have combined two very important antioxidants: Vitamin C, and Ferulic Acid into our formulation. Hyaluronic acid is responsible for retaining moisture giving you skin's youthful elasticity and plumpness by trapping water in your skin. Vitamin C helps prevent aging of the skin by speeding cell regeneration, repairing free radical damage, and stimulating collagen. Ferulic acid protects the skin by neutralizing free radicals from UVA/UVB rays that would otherwise cause premature aging in the skin. BEST NATURAL AND ORGANIC INGREDIENTS - 100% CRUELTY FREE! We use only vegan, and cruelty-free formulations containing natural/organic active ingredients. No parabens, no sulfates, no gluten, no alcohol, no phthalates, and absolutely no animal testing. Our serum is made in the USA in our advanced FDA registered facility. MANUFACTURER GUARANTEE - Petunia Skincare backs their products with a 90 days 100% Money Back Guaranteee - even if the bottle is empty! Try it RISK-FREE! This product is great! I saw my skin look healthier, more refreshed and moisturized with just a few days of use. My skin looked glowing and radiant. I had friends and family notice how healthy my skin looked. You could also tell that the skin had more elasticity and my fine lines were beginning to improve. This product has also helped me to feel more confident without makeup since my skin looks so healthy now. I love that this product is made in the USA and is 100% cruelty free. They also use natural/organic active ingredients making this a great product. GET TIGHTER, AND FIRMER SKIN! Recommended by The Doctors, the derma roller is the best and convenient alternative to popular cosmetic surgical procedures. The dermaroller has proven to stimulate collagen production, accelerate skin regeneration, build up pitted acne scars, reduce wrinkles, fade stretch marks, and cellulite! By derma rolling, you are essentially stimulating collagen in an area where there may not be any collagen productivity. This is great for acne scar removal. GUARANTEED RESULTS OR YOUR MONEY BACK! Manufacturer's Guarantee: All Petunia Skincare products are backed up with a 90 Day, No Questions Asked, Money-Back Guarantee. If you are not 100% satisfied with your purchase, simply contact us and we will give you a full refund. Our #1 priority is your satisfaction. We are a premium skincare line dedicated to providing customers with products that yield results with no hype included. 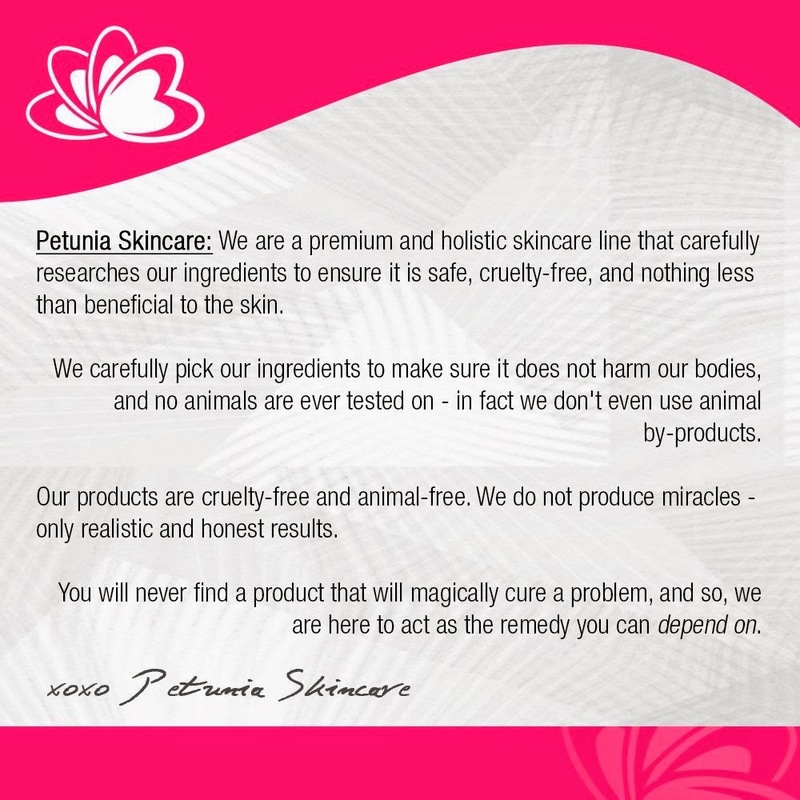 Visit petuniaskincare.com for more info! HIGHEST QUALITY MEDICAL GRADE STAINLESS STEEL! 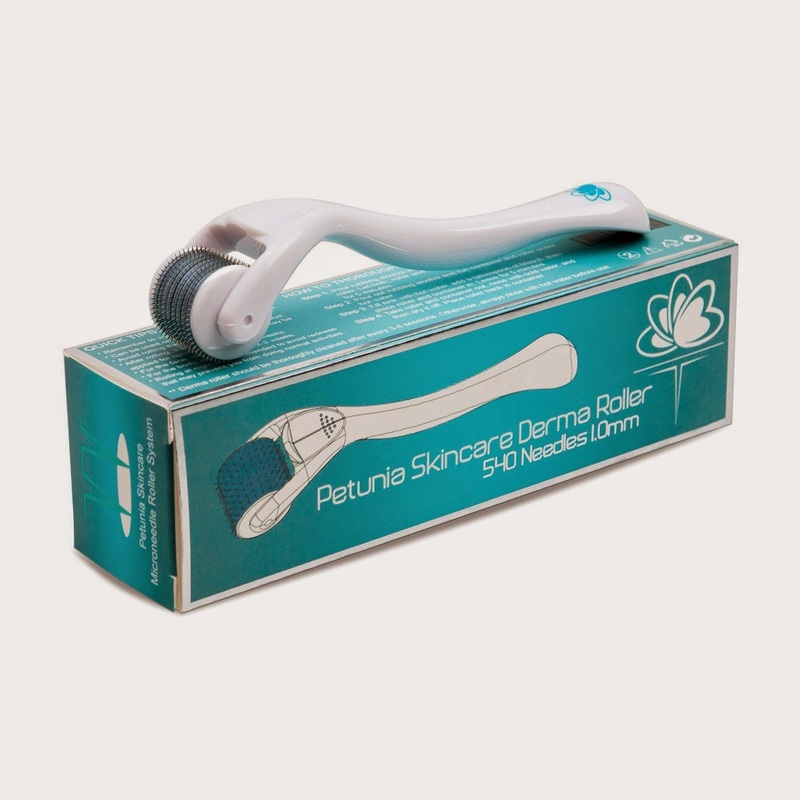 Petunia Skincare 540 Derma Roller is made with the highest quality surgical stainless steel available. Our stainless steel needles are medical grade, the same kind that doctors, surgeons, tattooists, and acupuncturists use! Don't waste money on cheap quality derma rollers made with titanium on the market. Stainless steel offers the least reactions to the skin. Think about it, would a surgeon ever use a titanium scalpel blade, or would a tattooist use a titanium needle? ABSOLUTELY NOT! THE ULTIMATE ANTI-AGING DEVICE FOR ALL YOUR SKINCARE PRODUCTS! Our micro needle roller is the best compliment for all your skincare products such as serums, creams, and gels. Microneedling allows ingredients to be absorbed faster because pores are opened from the epidermis to the dermis layer. This tool is great to use with our Hyaluronic Acid Serum, and Vitamin C Serum. It is also compatible to use with cellulite and stretch mark creams, scar gels and hair regrowth treatments. Our microneedle roller can be used alone or with products. DERMA ROLLING WORKS! The skin naturally regenerates itself approx. every 28 days. With derma rolling you can encourage skin regeneration, meaning you are building new skin. This is great with lightening acne scars, dark spots and age spots as it can speed up the pace in which new skin is made to help blend to its surrounding skin. This tool will help build up dimply cellulite and stretch marks on the skin through collagen and elasticity production. Hair regrowth relies on genes that promote the growth of hair cells. The most important chemical needed in the body to promote new hair cells is human growth factor. Scientists suggest derma rolling can stimulate human growth factor. As the needles create holes along the hair line, it inflicts minor injury. Now the body must work to produce new skin the area that injured and release human growth factor and other chemicals that aid in the regrowth of thinning hair. I have to admit I was very skeptical of this product but after using for a few weeks I really can see a difference in my skin. My skin looks much healthier. This product has helped a few scars lighten and I think with continued use they will only look better. 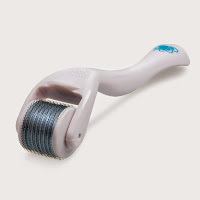 I do believe the Derma Roller helps your serums and moisturizers go deeper into the skin thus improving their benefits. I really feel like my skin looks and feels younger and credit it to the use of the Derma Roller helping my serums and lotions to work better and helping my skin build new cells faster. If your worried about it hurting, don't because it didn't hurt a bit and actually felt nice to use. This is a great product!